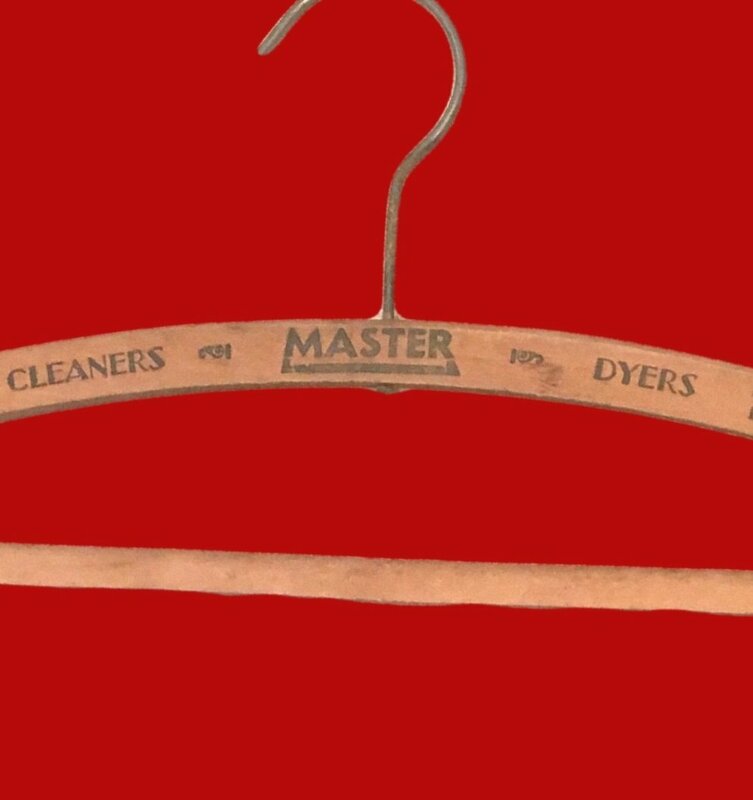 Another dry cleaning shop hanger. They don't make them like this anymore! This one advertises Master Cleaners and Dyers in Long Beach, California. 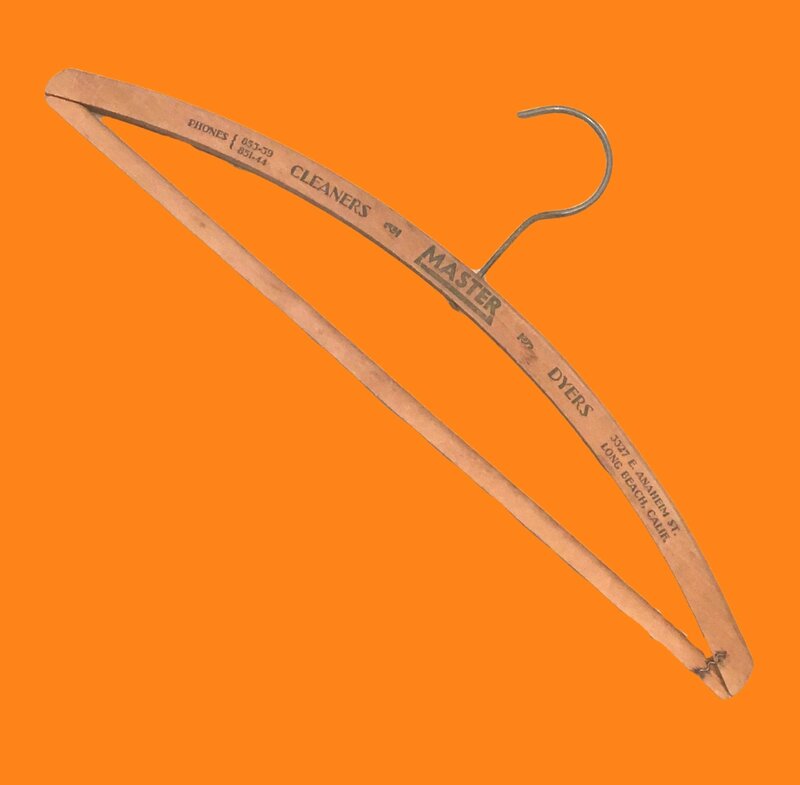 Use these cool old hangers for their original purpose, or use them for displays and crafts. MEASUREMENTS:16.5" L x 6.75" T ot top of hook.